We are proud to offer the best in official QIPCO Champion’s Day Hospitality Packages, as an Official Hospitality Supplier (OHS) appointed directly by Ascot Racecourse. Entertain your important clients and guests at the UK’s richest race meeting with our superb QIPCO Champion’s Day Ascot Corporate Hospitality. The day would rightly be described as the grand finale of the flat racing season in Britain and attracts some of the world’s finest horses – for some of the biggest Group One races including the QIPCO Champion Stakes. The glorious setting of Ascot Racecourse provides a perfect backdrop for the world-class racing action and first-class hospitality on offer which offers you the opportunity to enjoy this iconic day in VIP style. Eventmasters are delighted to offer a new concept in hospitality from The Paddock Restaurant at QIPCO Champions Day. The facility adjoins the Owners and Trainers area exclusively, putting you at the heart of the action. This unrivalled package overlooks the pre-parade ring providing guests with stunning views of the Grandstand with an exclusive outdoor seating area. This QIPCO Champions Day hospitality package includes exclusive King Edward VII Enclosure Admission badges allowing access to reserved areas within the Grandstand directly overlooking the winning line. The twist…… hospitality within The Paddock Restaurant will include a professional room host, Jed Stone who will help create a fantastic atmosphere throughout the day which will include “amateur” tipster competitions for each race with great prizes. We will also have live music throughout the day and immediately following racing from David Hughes who is always a great success. Entertain your valued clients and guests in an exclusive and luxurious environment with our Ascot Grandstand Box package for QIPCO Champions Day Ascot 2019. This Level Two Box provides guests with breathtaking views of Ascot Racecourse along with Premier Admission, four-course dining, afternoon tea and much more; this is the perfect way to experience this prestigious day of world-class horse racing action. Please note that prices are per private box and are subject to VAT and availability at the time of booking. *All racing information can be subject to change. This unrivalled package overlooks the new de-saddling area and provides guests with stunning views of the Grandstand with an exclusive outdoor seating area – a perfetc hospitality option for enjoying QIPCO Champions Day. 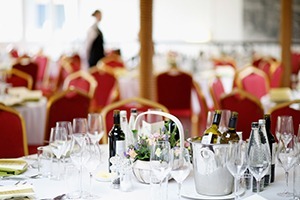 “Eventmasters catered for our every need. Champions Day provided us with a truly spectacular day of hospitality and horse racing action - a must for anybody. My clients absolutely loved every minute of the day. The racing was some of the best we have seen and the hospitality was first-class. We have a dedicated page where you can view, download and print all of our event information for QIPCO Champions Day at Ascot Racecourse.